Convert from NC-data(*.nc) and Tool-library to XML-gzip-ata(*.tpgz). 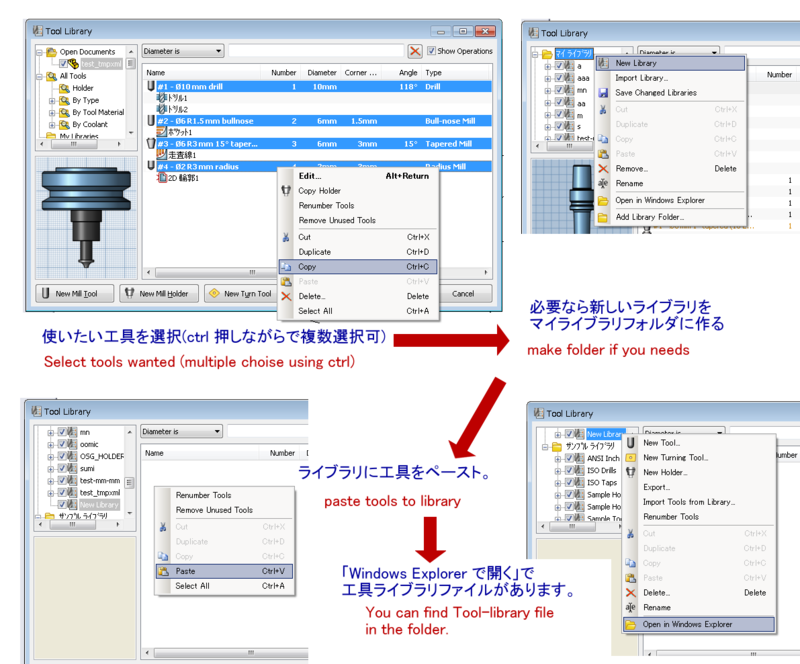 When this XML-gzip-data file is imported by HSMWorks, you can do machining simulation. HSMWorks is CAD/CAM, addon Solidworks. Ref. [ HSMWorks 21 Exciting features ! ] or HSMWorks webpage. Simulation which is one of attional features on HSMWorks is very fast and of hight quality. You needs enviroments to be able to use HSMWorks, when you use XML-gzip-data. 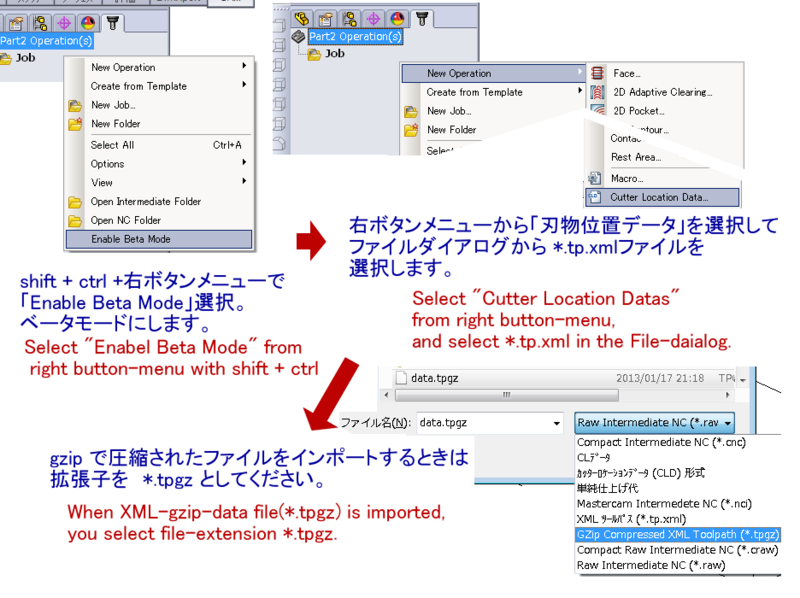 And you needs to use beta mode for import XML-gzip-data. You can convert from FANUC NC data whether G90 or G91, existence of decimal point, IJK or R.
NC data must include T(tool number) and M06. [[ New!! ]] 5 Axes is supported partly. Rotating head is not supported. Direction of rotation axes is not supported. You can use HSMWorks tool-library(*.htmllib). [[ New !!]] You can paste tool-library data from cripboard which copyed from tool-library dialog. XML-gzip-data(*.tpgz) is made by gzip to compress XML-data(*.tp.xml) which follows. Refer the following. The format document of XML-data (*.tp.xml) seems to not be public. This page convert to format I guesss. You can import xml-data (*.tp.xml) as follow. You can output xml-data (*.tp.xml) as follow.